September 11, 2001: Was God Present or Absent? Every thinking person has at some time raised the question, “Where is God in the midst of suffering?” That question without doubt echoed in millions of minds on September 11, and continues to do so. If illustration were argument, an event such as this would give fodder to both sides of the issue—to those who want to establish the complete absence of God and to those who testify that He exists and is involved in the circumstances of our lives. To a watching world, the finest testimonials to the faith of the nation were the crowded churches the following Sunday and the extraordinary national memorial service. President Bush himself planned the service and led the nation to seek the comfort of God in that time of crisis. Stepping back from the scene, two starkly different stories from September 11 represent the struggle of the search for God. One story was told by the men of Ladder 6, a company of the New York City Fire Department. Seven firemen were helping a sixty-nine-year-old woman by the name of Josephine down from the seventy-third floor of one of the World Trade Center towers. These brave men, already laboring under 110 pounds of equipment on their backs, led Josephine step by step down the staircase. At times, she was ready to give up, but they helped, encouraged, inspired, and assured her she would make it. “They were like angels to me,” she said. She would stop to catch her breath and they would stop with her. She started to shiver with fear and one gave her his jacket. One floor at a time they got her down until, finally, she could walk no more and just sat down on one of the steps of the fourth floor. But as the noise lessened and the smoke began to clear, they found that they had settled over the rubble of the caved-in floors below them. Miraculously, Josephine had refused to go any further at the one point that remained intact as the building fell. All seven firemen plus Josephine were eventually brought into the daylight of safety. How can we react to a story such as this but to concede that those who were rescued in this way saw the hand of God leading, guiding, and stopping their steps? Yet, not every story ended like Josephine’s. The hearts of thousands of others who lost loved ones may well throb with a different emotion. I think of one young woman who, through weeks of struggle, torn by indecision at the marriage proposal of a young man, finally made her choice during the night. In the pre-dawn hours of the 11th she phoned his office at the World Trade Center from her home in California. Her message awaited him when he arrived at work, with words of love and the welcome news that she would marry him. But at midmorning when she retrieved her own messages, her world was unforgettably changed. The voice she heard was not the voice of a man exultant at the news of her acceptance. Instead, she listened to the terror in his voice as he told her that he loved her with all his heart, but his building had been struck by an airplane and was beginning to crumble before his eyes. No angels dragged him to safety. Was God near or far? Any time a catastrophic event happens, numerous human-interest stories give God glory, while others give Him blame. Theologians have an interesting description for this predicament. They call it “the hiddenness of God,” or “divine hiding.” Why does God not make His presence more obvious? Many arguments are offered for why God “hides” in a world that seeks to see Him. The answer is ultimately found in the divine purposes of God. It is not that God has absconded or is absent; it is that there is a divine purpose behind His visibility or invisibility. If one can rightly read the clues, the mystery is opened up in profound ways. Just as evil can be understood only in the light of the ultimate purpose, so also must God’s presence or seeming absence be judged on the basis of His purpose. Sporadic supernatural demonstrations by God would not satisfy our insistence that He be constantly accountable to us for His actions. The demand that we place before Him—that just one incontrovertible miracle would dispel all doubt in every other case of “divine hiding”—may well be another intellectual smoke screen we hide behind. That expectation that we put upon God tells us more about ourselves than it does about God. It is ironic, is it not, that Hanson asks for some kind of thunderous event with God in the skies, and yet he is probably among those who dismiss as a chance event the Big Bang of the beginnings of the world? No thoughts of God’s involvement there are entertained. Numerous times in the Scriptures, signs were asked from God, and they were given. But in spite of that, trust in God was not automatic. Probably no disciple received more displays of God’s power than the apostle Peter. He was one of only three who witnessed the Transfiguration of Jesus. Jesus had taken His disciples to the top of a mountain where they saw a sight not given to any other human eye. They saw Jesus’ body begin to glow with a whiteness that was almost blinding. Suddenly Moses and Elijah appeared and began to talk with Jesus. Peter asked Jesus if he could build shelters there for the three luminaries, but a voice thundered from the heavens saying, “This is my Son. Listen to Him” (see Luke 9:35). This experience had everything—Sight! Sound! Words! Power! Peter was so overcome that he did not want to go down from the mountain. But Jesus told them it was time to return to the humdrum world of their day-to-day existence. Jesus was not playing games with his disciples; giving them a glimpse of the eternal and then taking it away from them. Rather, He was showing them the greater reality from which He came and to which will He take us, without denying the present reality through which He works in us. Both are important. We cannot escape the struggle of day-to-day thinking and doing and being by some sort of spellbinding incident that suddenly invades our circumstances. Life is to be lived at a level where the norm becomes meaningful in the light of eternal values, rather than interpreting eternal values according to what is normal for us. That is key to understanding our yearning for the future and our struggle with the present. But there is more. Jesus was trying to help His disciples to understand the frailty He saw in them—their chronic bent to be enchanted every moment. Peter saw the proof of Jesus’ divinity in His transfiguration. He did not doubt after that who Jesus was. Yet, when Jesus was arrested, Peter floundered and even denied that he ever knew Jesus. He was in momentary awe of the miraculous but could not trust God for the future. This failing was also common in Israel’s exodus from Egypt. The people would witness a miracle and follow God with national repentance. But as soon as God seemed to hide for some time, the grumbling and skepticism began. Peter was in momentary awe of the miraculous but could not trust God for the future. The examples of Israel and of Peter are repeated endlessly in our own experiences. We have a limitless ability to trust God only when it suits our purpose. Rather than allowing God to be God and serving Him for who He is, we actually try to play God and He becomes our subject, expected to do our bidding at our every whim. I do not know of any greater fickleness in the human heart than this. We lie to ourselves after a miraculous event, believing it will have staying power. But the moment another steep hill appears before us, we wonder whether the miracle we witnessed some time back actually happened or was only a delusion. Reality is threatened by this fickleness, and if we do not understand and accept this, we live in an illusionary world of chronic skepticism. Our demand for more information is, in a real sense, a fight against our finitude. A subtle delusion keeps us from the real battle. The truth behind our clamor for explanation is that we assume ourselves to be only intellectual entities and thus, if only our intellect can be satisfied, we will be content. This mangling of our personalities lies at the root of our disconnectedness from the way God has framed reality. One of the most powerful encounters in the Bible is between Jesus and a learned man named Nicodemus. Nicodemus recognized the supernatural character of Jesus and said to Him, “Teacher, no one could do the miracles you are doing unless God is with him” (see John 3:2). That tacit endorsement could have easily elicited a commendation from Jesus. Instead, Jesus challenged Nicodemus that if he wanted to be part of God’s kingdom, he needed to have a new birth. This was not the direction Nicodemus had planned on going, but Jesus knew exactly what He was about. He was telling Nicodemus that it is not the miracle over matter that ultimately has staying power; it is the miracle over the way we think about reality that has eternal ramifications. We are not all intellect, and therefore some need beyond the intellect needs to be met. But there is a second point I wish to make. We look for God to be something concrete, something we can see or handle or fully explain. This is a fallacy born out of our addiction to the external, and human history has repeatedly challenged that disposition. There are many evidences of God’s miracle-working presence. Incredible stories abound for which there is often no natural interpretation that satisfactorily explains them. The supernatural is possible. It happens, but it does not lead to the greatest miracle in a life. For you see, anyone can take a miraculous story and explain it a dozen different ways. At best it just proves that there is a power beyond our own. So where does that leave us? What God seeks in every individual is not just companionship based on His intervention, but communion with Him based on His indwelling. That is what makes the difference when a building is collapsing. It is not whether a hand grabs your hand and rescues you from the carnage; it is that no matter what happens, His strength empowers you to rise beyond the devastation. If mankind were only mind or intellect, evidence from the physical world would be all that mattered. But there is a depth to our being; a spiritual essence that goes deeper than our intellect. That essence hungers for intimacy. If you will pardon the crassness of the analogy, “making love,” as popular jargon describes sexual consummation without deep commitment, is no more love than the embrace of a pickpocket signifies affection. The spiritual, not the physical, is the essence of our being, and for that quality of nearness, only communion with the living God satisfies. We are spiritual beings and God responds to us in spirit. If mankind were only mind or intellect, evidence from the physical world would be all that mattered. But there is a depth to our being; a spiritual essence that goes deeper than our intellect. That essence hungers for intimacy. The reason this kind of communion is needed is well articulated by the scientist and mystic, Blaise Pascal. He argued that if there were no obscurity to God, humanity would not feel its corruption, and if there were no light to bring Him near, humanity could not hope for a cure. That thought, coming from the father of the modern-day computer, is even more significant. He knew that though empirical truth is good, it is not good enough. He longed for the mystery and the intimacy of God, something mere intellect could not deliver. What is the difference between companionship and communion? In companionship with God we come to Him, recognizing our limit of strength. In communion with God we stay with Him, recognizing our depth of spirit. In companionship with God we long to see and understand. In communion with God we long to feel and belong. Those who seek companionship without communion seek power without commitment; the display without dedication, and proof without love. But this is where we break free from the entanglements and distractions to find the hand of God. Communion with God takes place in our solitariness before it takes effect in community. Henri Nouwen captured this profound truth: “In solitude we can unmask the illusion of our possessiveness and discern in the center of our own self that we are not what we can conquer, but what is given to us. Through that solitude He leads us to communion.” 3 In other words, it is not our victories that make us who we are; it is His divine presence that carries us through both victory and defeat, and defines us. Is this possibly what C. S. Lewis had in mind in The Voyage of The Dawn Treader? Lucy has been desperately seeking the presence of Aslan when suddenly He appears before her. “Oh Aslan,” she says, “It was kind of you to come.” “I have been here all the time,” said He, “but you have just made me visible.”“Aslan,” said Lucy, almost a little reproachfully. “Don’t make fun of me. As if anything I could do would make you visible!”“It did,” said Aslan. “Do you think I wouldn’t obey my own rules?” What are His rules? “You will seek me and find me when you seek for me with all your heart” (Jeremiah 29:13). I would not at all be surprised to learn someday, when the words and thoughts of those who died in the devastation of September 11 are revealed in God’s presence, that many, many of them knew a profound sense of His presence, even when they knew life in its earthly sojourn was coming to an end. There is at least one profound lesson that I draw from the life and death stories of September 11. There is an appointed time for each of us when life will meet its end. God has entrusted us with common sense and wisdom that we must express in our day-to-day activities. We are not to throw life away. We are not licensed to court danger. But sometimes we can think that we are safe when we are not. Real safety is only to be found in His presence. Wherever we go, whatever we do, we are safe in that communion with Him. Safety is not found in seeking an escape from His appointments. We must learn to live every day to the fullest, in healthy recognition that one day it will be the last. Was it not ironic that one of the passengers who died in the American Airlines crash in Queens, New York, in early November 2001 had escaped the inferno of the World Trade Center tragedy in September? Another passenger on that plane was a young sailor who had just returned from extended duty overseas on the USS Enterprise. We can flee the marketplace, only to find that the quiet village of Samara is where our rendezvous was to be. The Bible tells of the time when Lazarus, one of Jesus’ friends, took ill. His family sent word for Jesus to come and heal him, but by the time Jesus came, Lazarus was dead. His sisters greeted Jesus with the sharp words, “If you had been here, our brother would not have died” (see John 11:21). Jesus went to the tomb and wept. But as He dried His tears, He performed the remarkable miracle of raising Lazarus from the dead. But if Jesus knew He was going to do this, why did He weep before the tomb? I suggest that He wept because He knew that someday, even with this momentary reprieve, Lazarus would come to his “Samara,” and the pain of death would once again be very real. Jesus’ miracle was to remind them that “Samara” was not the end. He said to the family gathered, “I am the resurrection and the life. He who believes in me will live, even though he dies” (see John 11:25). His miracle is not to be there to keep us from dying. It is to take us through death into His eternal presence, which is the place of ultimate communion. The first tomb reminded me of the possibility of the miracle; the second, of the reality of death. The inscription spoke of the greatest miracle and reality of all—communion with the living God. That intimate friendship is the kind of communion that helps you face death knowing that your Friend is with you beyond the grave. Even the Koran recognizes that Jesus had the power to raise the dead; a power that it does not attribute to Muhammad. That same power was in the World Trade Center on September 11. Bin Laden and his band of murderers may have had the power to kill, but Jesus Christ has the power to raise us up again. That is what communion with Him brings. His presence is within us, and terrorists can never take that away. 1 Thomas V. Morris, Making Sense of It All (Grand Rapids, Mich.: Wm. B. Eerdmans Publishing Company, 1992), 93. 2 Henri Nouwen, The Only Necessary Thing ( New York, N.Y.: Crossroads Publishing Co., 1999), 30. 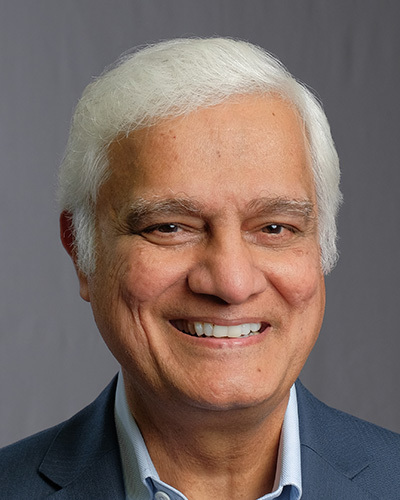 Excerpted from a chapter of the new book Light in the Shadow of Jihad: The Struggle for Truth by Ravi Zacharias (Multnomah Publishers, 2002). Used by permission.